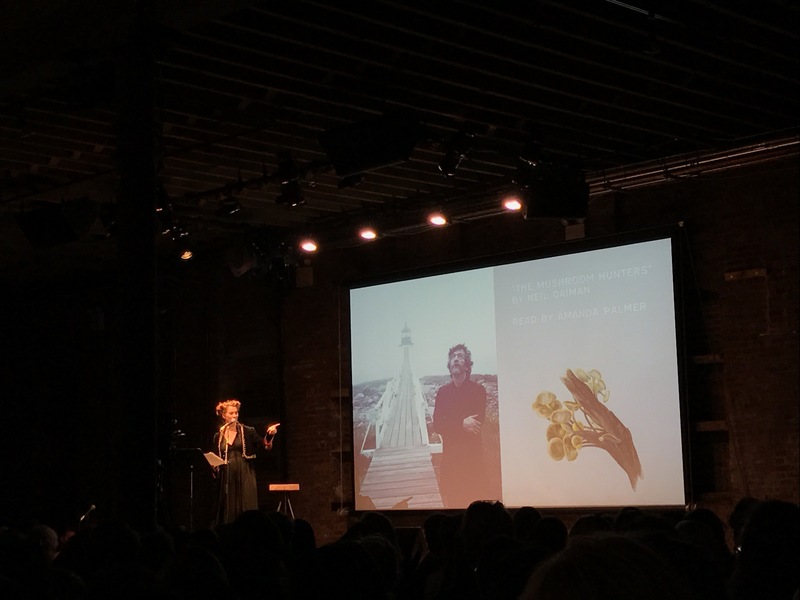 — Neil Gaiman, read live by Amanda Palmer at this past Monday’s The Universe in Verse event at Pioneer Works in Red Hook, BK. Art replaces the light that is lost when the day fades, the moment passes, the evanescent extraordinary makes its quicksilver. Art tries to capture that which we know leaves us, as we move in and out of each other’s lives, as we all must eventually leave this earth. Great artists know that shadow, work always against the dying light, but always knowing that the day brings new light and that the ocean which washes away all traces on the sand leaves us a new canvas with each wave. Art that speaks to any of us always comes from a very particular place, and then we find ourselves in it in some kind of way.